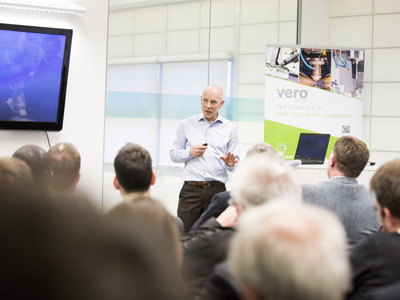 Senior engineering figures Stephen Ball, Roger Atkins, Kieron Salter and Rob Lewis have been confirmed as guest speakers as part of the Silverstone Technology Cluster’s sponsorship of the VIP Lounge at next month’s Advanced Engineering Show (Weds 1-Thur 2 November). Stephen and Roger will give presentations between 12.30pm-1.00pm on the Wednesday with Kieron and Rob appearing at the same time on the Thursday. Stephen is the former CEO of Lockheed Martin (UK) and now acts as a director to two cyber security experts, Reliance ACSN and Shearwater Group PLC. Roger is a consultant to many motor manufacturers in electric vehicle technology. Via his business, EV Outlook, his online blogs have gained him 150,000 followers. Meanwhile Kieron and Rob have already been announced as champions of the STC’s new Digital/Advanced Manufacturing (DAM) and Computer Aided Engineering (CAE) special interest groups (SIGs). Kieron is Managing Director of leading engineering consultancy KW Special Projects and Rob MD of computational fluid dynamics and aerodynamics specialist TotalSim. Both companies are based in Brackley, Northants. The Advanced Engineering Show’s VIP Lounge is this year being jointly hosted by the STC and also high tech business estate Silverstone Park. Its developer MEPC has been integral to the STC story, having originally worked with Barclays to lead the commissioning of the SQW report while continuing to grow the high-tech business estate at the heart of the Cluster. STC is the not for profit company launched in December 2016 to promote the region within an hour’s radius of Silverstone – identified in a high profile SQW report as being home to around 4,000 companies with exceptional capabilities in high-tech engineering and recognised by the UK government as having ‘latent potential’. 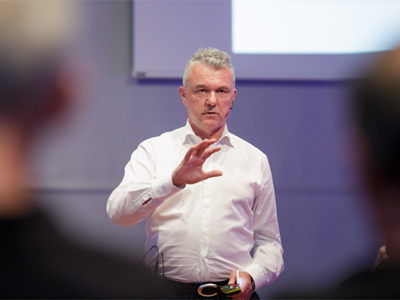 STC CEO Pim van Baarsen said: “Stephen, Roger, Kieron and Rob make for a very dynamic line-up of speakers – for any audience they bring great experience, insight and huge success across a variety of engineering sectors. CLICK HERE for more information about 2017’s Advanced Engineering Show.